This park commemorates the site of Florida's largest Civil War battle, which took place February 20, 1864. In 1912, when many living Civil War veterans still attended reunions, the battlefield became the state's first historic site. 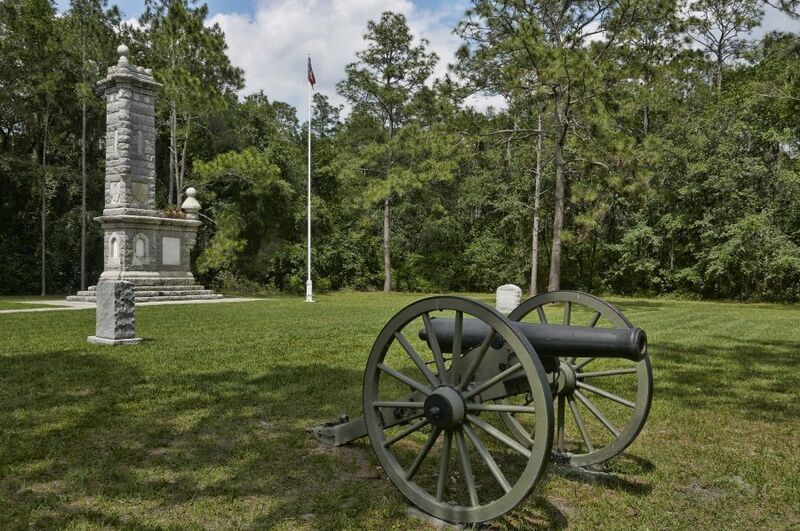 Olustee Battlefield has a visitor center with historical information and artifacts. A reenactment is held every February to commemorate this battle. Scenes for Civil War movies, including the 1989 movie Glory, have been filmed during the reenactments. Visitors can enjoy a meal at the picnic area or take a walk along a mile-long trail that has interpretive signs describing the events of the battle.